For the fishing enthusiast who love to fish largemouth bass, it’s critical to learn first all the necessary details to be able for you to master the perfect bass fishing skill. The largemouth bass is very popular type of fish as they are exciting to catch . However, it wouldn’t be exciting if you don’t catch anything at all. Of course, to master the perfect skill in fishing, you need to have lots of learning and practice, and one of the most important things for you to have a real catch is to understand and learn all about fishing baits and lures used for largemouth bass. Making a good choice of lures and bait sure plays a huge role in having a good catch. If you wish to have a good catch of largemouth bass, you need to have some information and ideas about the best fishing baits and lures used for catching largemouth bass. Your fishing lures will depend on the depth of water – one of the factors you need to consider in determining what fishing lure to use is to identify the depth of water where you want to go fishing. If you’re fishing largemouth bass in shallow waters, use the kind of lures such as poopers, surface plugs, plastic frogs, buzz baits, hair bugs, and crawlers. Their surface or top-water lures are most effective when being used in shallow waters and even more efficient when being used near the tree tops and brush, land points and weed beds. For fishing largemouth bass in deep waters, use the lures like lead heads, plastic worms, and other soft body lure and can resemble the bass’ natural foods. However, if you’re fishing in not shallow or deep water, you can use med-depth water lures such as minnow plugs, crank baits, wet spoons and flies and spinner baits. The right color of the lures – different lures come in different colors and choosing the best-suited color for largemouth bass fishing is also very confusing. There are many colors to choose from, however, according to many fishing enthusiasts, the most effective lure color used for largemouth bass is red, but if you notice that red is not that very effective, you may try and experiment your new lure color. In this way, you will discover that color works perfectly in your fishing place. As the fishing of largemouth bass has increased their popularity, there have been lots of developments on fishing accessories and equipment such as the baits and lures, and choosing for the best largemouth bass lure can be mastered by learning the strategies and tips along with the guide of experts. Also, understanding or familiarizing the main types of lures used for fishing largemouth bass will give you many advantages. Crankbaits – Best used for shallow and medium waters fishing spots, usually, the fat and small crankbaits are the most effective. Use the ones that include rattles and glowing eyes for largemouth bass to quickly locate the lure. 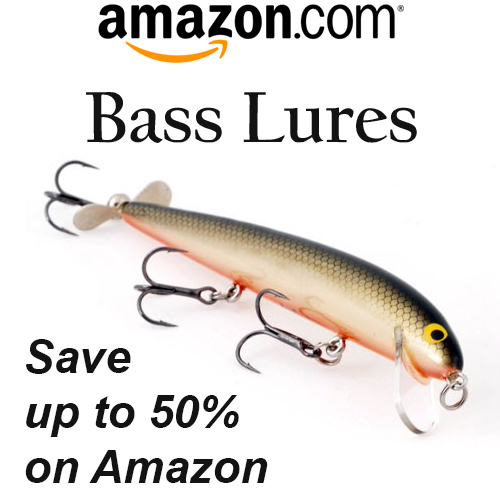 Spinnerbaits – This bait usually comes in black and white chartreuse with many different blades. Usually, spinnerbaits are available in weedless or standard. The weedless version is one good option if you’re fishing in lots of covers. Topwaters – This bait must be selected with features similar to cranks. Get many different size and colors will depend upon the season to be used. 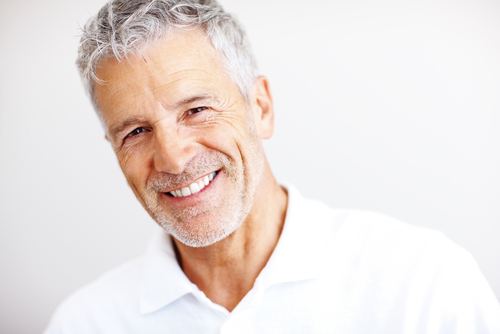 During spring, the most efficient are bright colors and during winter, gray, black and white are the ones that work well. Look for the ones that produce noise to easily get the attention of the bass. 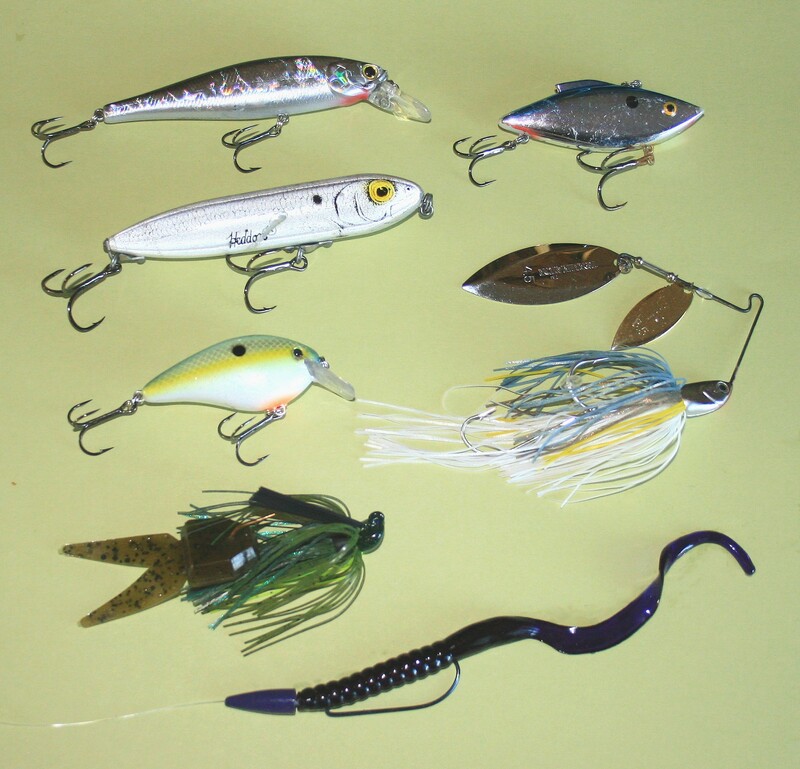 Plastics and Jigs – Get the dark colored lures such as brown, purple and black with different sizes. The hooks and sinkers must match the presentation. Usually, the bass hit this kind of bait while it’s falling. Keep this in mind to have a successful catch. 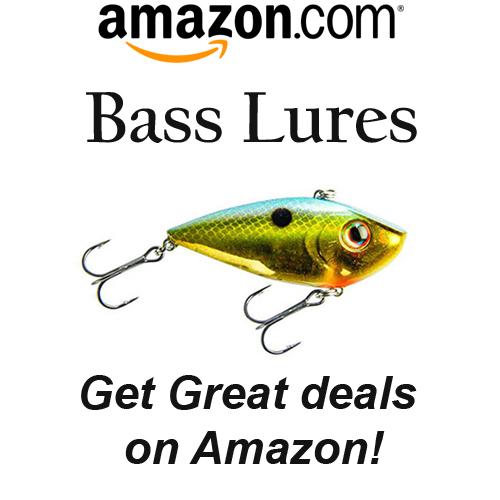 More on bass fishing here: Best Bass Lures: The Key to a Good Catch.